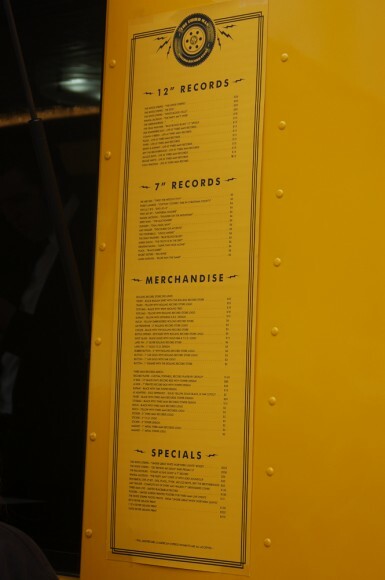 Just this week Jack White and his label Third Man Records announced a special rolling record store. At its debut location a special secret surprise was teased. Many flocked to the special parking lot location hoping it would be Jack himself. Instead, it was another Third Man artist, Seasick Steve. As people crammed every inch of viewing space Seasick Steve sat, sang and played electric with a small practice amp. There were a fair share of technical difficulties, but his old-school blues was more than enough to excite the crowd. For those interested, Jack White was inside the van along with Alison Mosshart from The Kills. 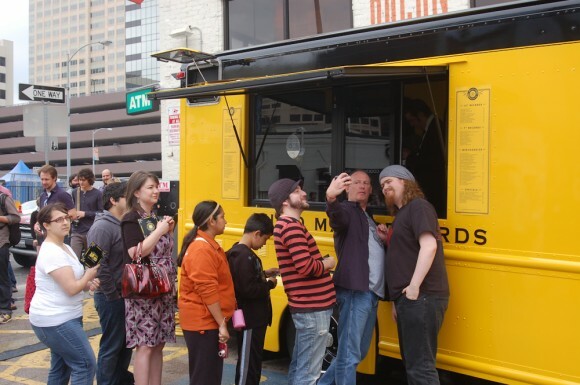 Afterwords, the eagere participants formed a line to purchase specialty vinyl and other Third Man Records merchandise. Jack White is spinnging as the first few step up.